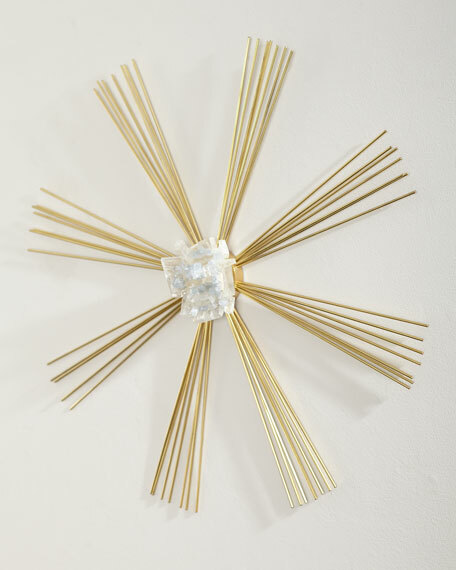 Enhance your wall with brass rays radiating from a cluster of celestite and calcite. 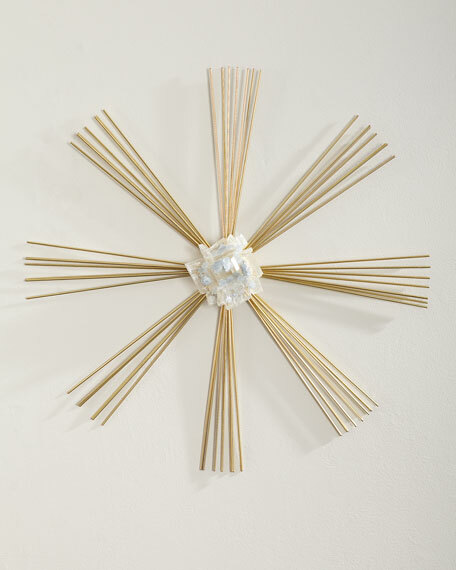 This alternative wall art will add an organic statement to any wall. Weight, 3 lbs. Boxed weight, approximately 6 lbs.